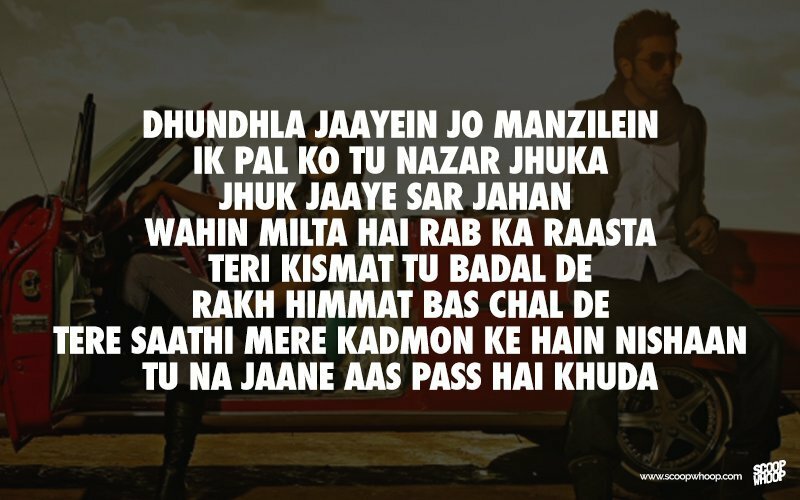 Songs can be very powerful. 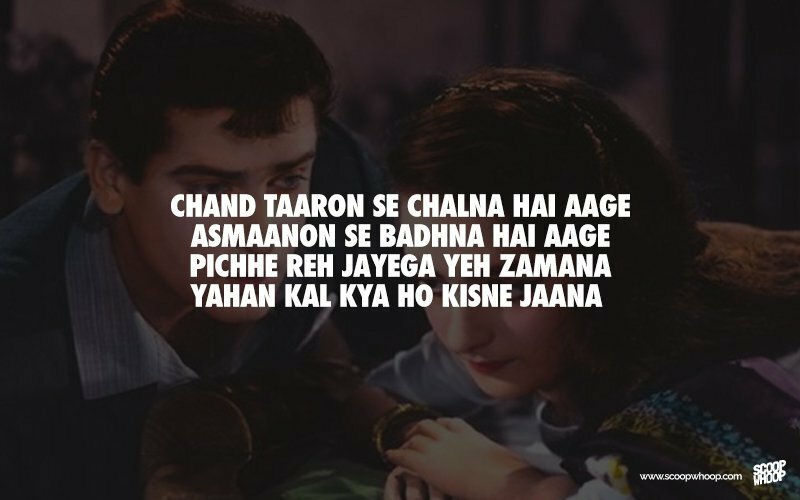 And when it comes to Bollywood, the Hindi gaano ka tadka, mixed with inspiring lyrics and some peppy beats, can lift your spirits and raise your hope even when everything seems lost. 1. 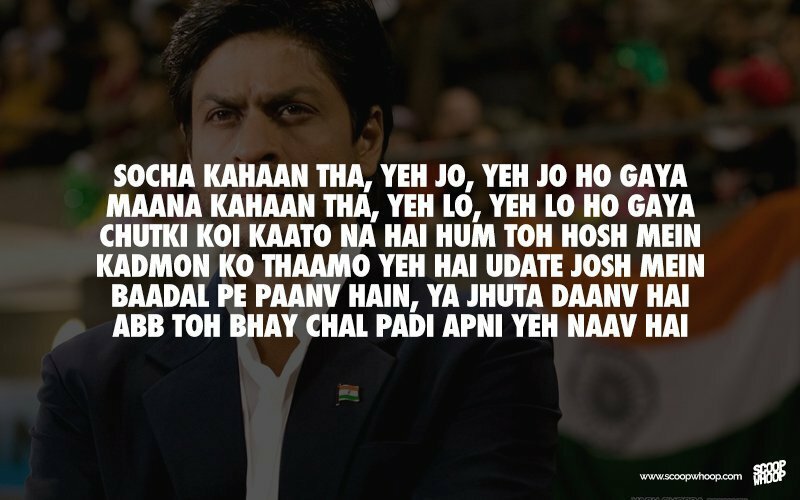 If the Chak De India song cannot inspire you, nothing can! 2. 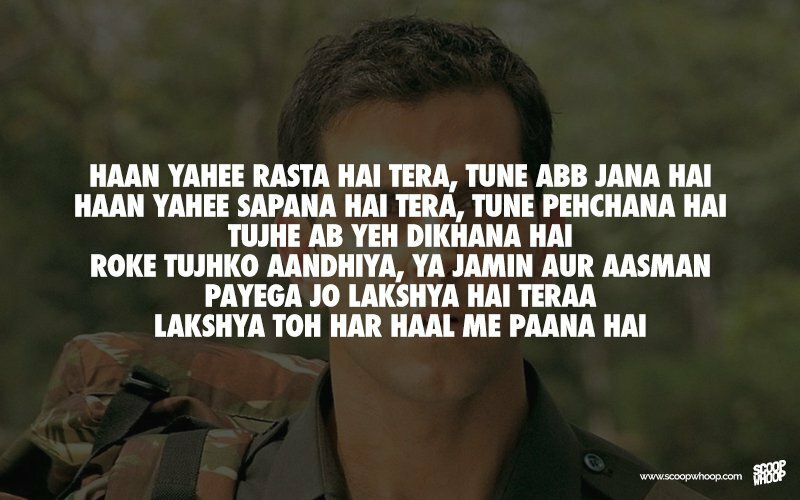 The title track from Lakshya is very, very motivating! 4. 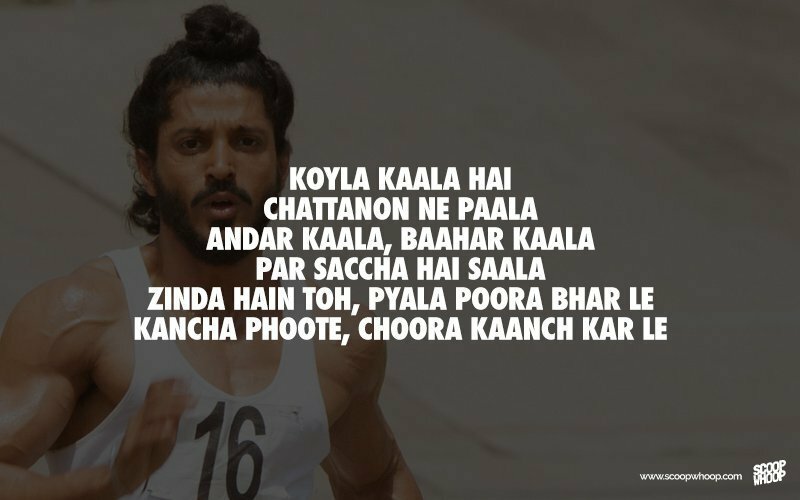 This Bhaag Milkha Bhaag number makes you want to hit the road and achieve something! 5. 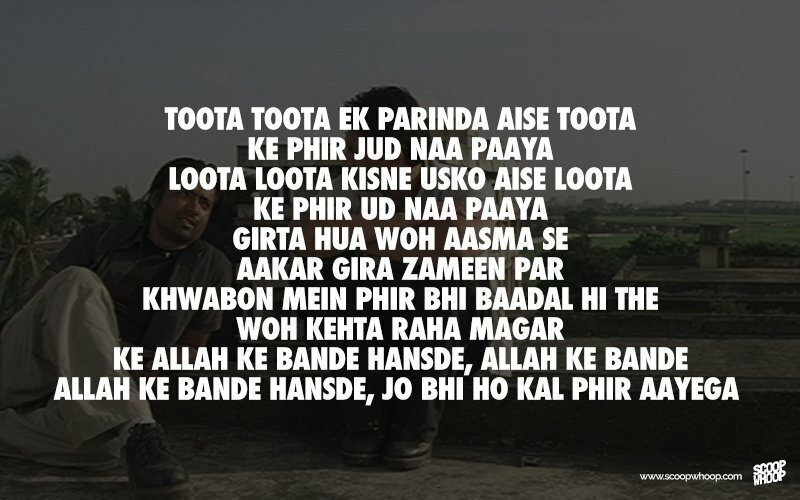 This song from Rang De Basanti has a refreshing feel to it. 6. 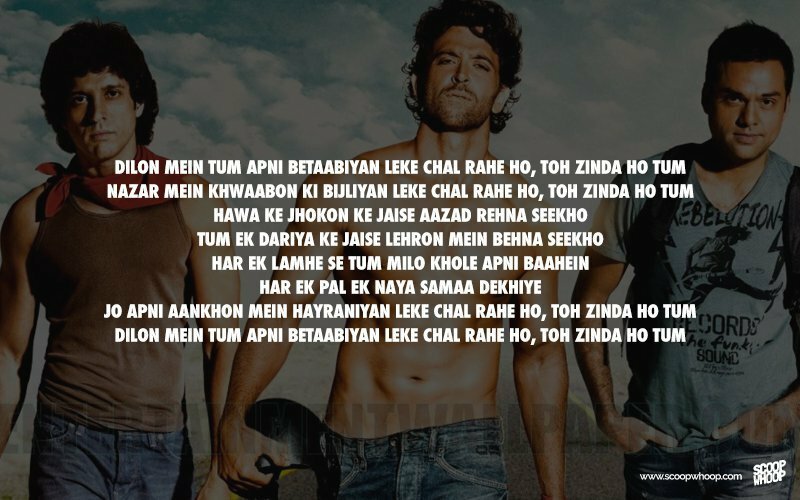 This one is slightly long but with Javed Akhtar's lyrics and Farhan Akhtar's voice, what more do you need to motivate you? 7. 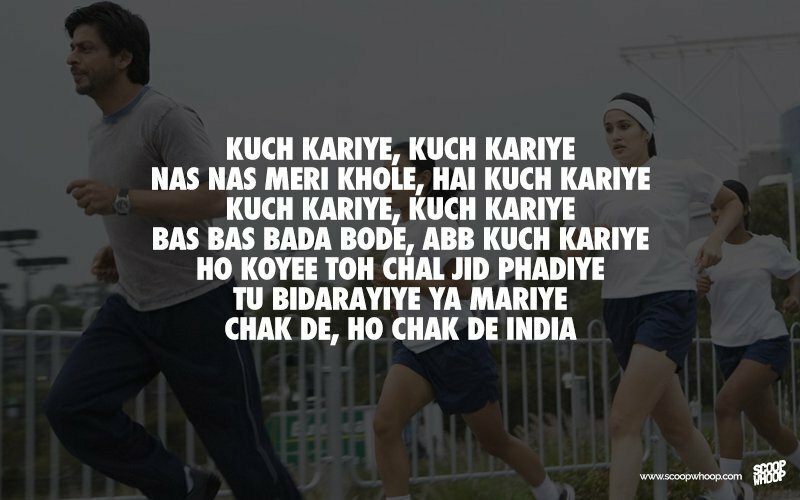 Another motivating number from Chak De India! 8. 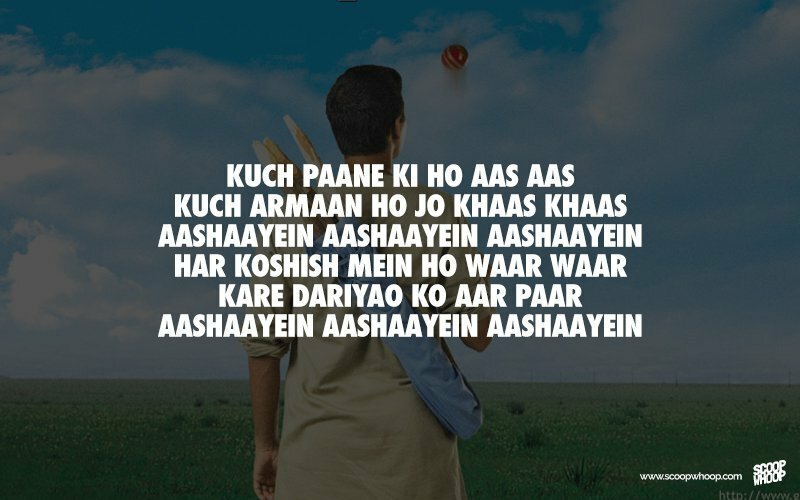 This one is all about chasing your dreams! 9. Jo bhi ho kal phir aayega... Wise words these! 10. 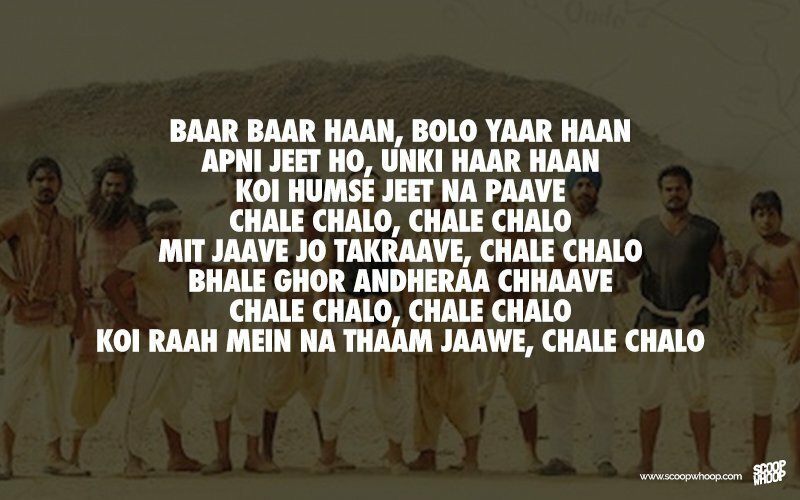 After all, darr ke aage jeet hai! 12. 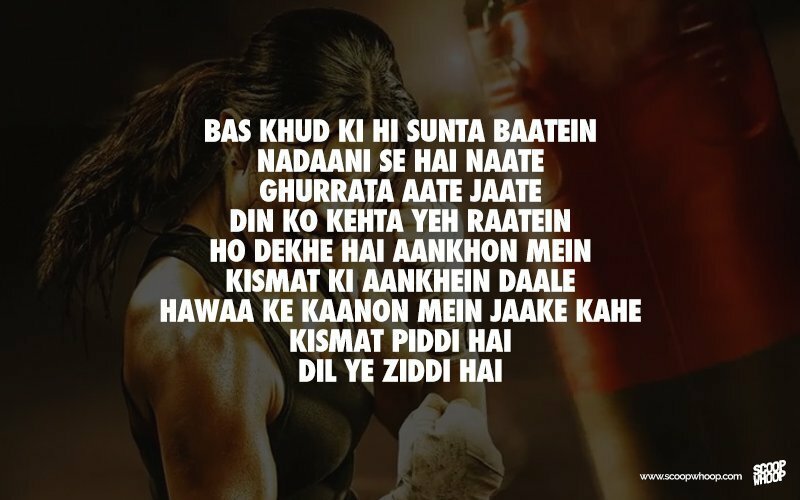 Mary Kom is definitely a role model, and songs from her biopic are equally inspiring! 13. Don't back down, don't bow down! 14. Here is an evergreen motivating number! 15. Faith... All it takes! 16. 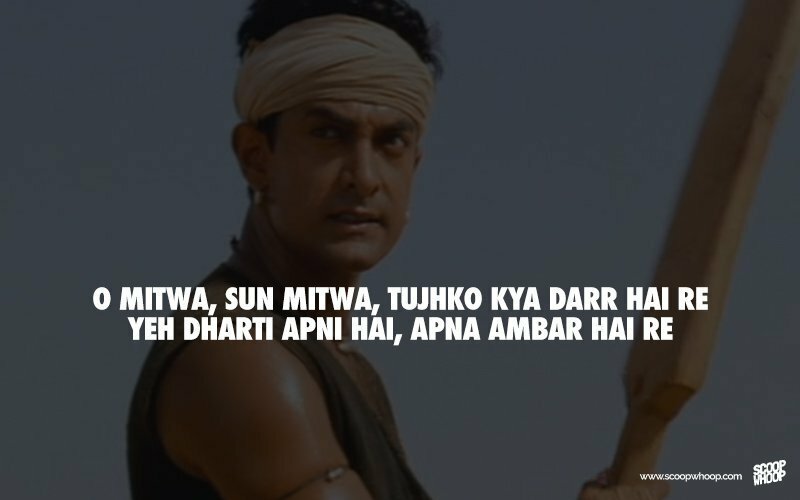 Another masterpiece from Lagaan! Can you think of more? We would love to hear them. Let us know in the comments section!